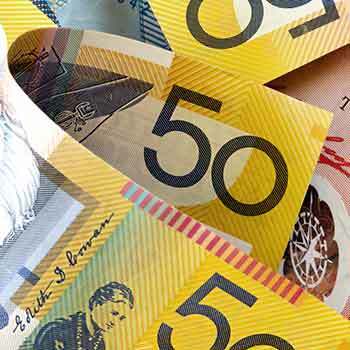 The Australian Dollar (AUD) ignored the massive drop to Consumer Confidence yesterday, which fell from a 7.8% reading last month to -5.6% for September, and held steady following the release. Today the focus will be on the Australian employment data at 11:30 AEST to determine which direction the AUD will move next. Yesterday Deputy Governor of the Reserve Bank of Australia (RBA), Philip Lowe, made a rather upbeat speech, urging Australian’s to be confident in their economy’s ability to progress through stressful times. This assisted the AUD in dismissing the poor Consumer Confidence result and aided in driving up the value of the ‘Aussie’ (AUD) by close to half a percent. Volatility concerning the Australian Dollar (AUD) is expected today following the release of domestic employment data at 11:30 AEST. The Australian Unemployment Rate is currently at 6.3% and the forecast is that it will fall to 6.2%, with an Employment Change figure of 5K. This could provide an opportunity for the Australian Dollar to continue its recent rally away from the lows that it closed at last week. Chinese inflation figures to be released today in the form of the Consumer Price Index (CPI) and Producer Price Index (PPI) will add to the volatility of the ‘Aussie’ (AUD). A mixed result is expected, with CPI forecast to rise from 1.6% to 1.9% and PPI forecast to drop further from -5.4% to -5.4%. Overnight the UK reported on Industrial and Manufacturing Production with the result being worse than expected at 0.8% and -0.5% respectively. The UK Trade Balance was also announced yesterday evening and it indicated that imports outweighed exports to the tune of -11.082B, approximately 3B worse than the forecast. The AUD/GBP exchange failed to capitalise on the poor UK data and remained rather stagnant after the release. The Australian employment figures and Chinese inflation figures will impact the AUD/GBP exchange rate today prior to the Bank of England (BoE) rate decision this evening. Once again, interest rates are expected to remain on hold at 0.5%, with close attention being paid to the governing body’s statement on monetary policy for any indication as to their current standpoint in relation to finally hiking interest rates. Further UK data concerning Construction Output and Consumer Inflation Expectations is scheduled for release tomorrow evening and will impact the direction of the AUD/GBP exchange rate prior to the weekend. The AUD/GBP exchange rate is currently trading at 0.4545 at 0830 AEST. Copyright © 2019 TorFX Pty Ltd. All rights reserved. Regulatory Information.